Introducing the PokéAus Open Series! 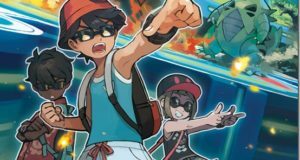 Ellis Longhurst July 30, 2018 PokéAus Open Series Comments Off on Introducing the PokéAus Open Series! To help kickstart the season once rotation hits, Pokémon Australia is launching a new team based TCG circuit called the PokéAus Open series! The first event in the series is the PokéAus Spring Open starting in September 2018. Watch this space for more details!